Impulse Records: 'The House That Trane Built' Impulse Records was launched during a golden age of jazz and it featured a variety of legendary artists — from John Coltrane to Ray Charles. Its edgy sound reflected the turbulent politics of the 1960s, the author of a new book about the label says. Hear selections from 'The House That Trane Built,' the companion four-CD set to the book. 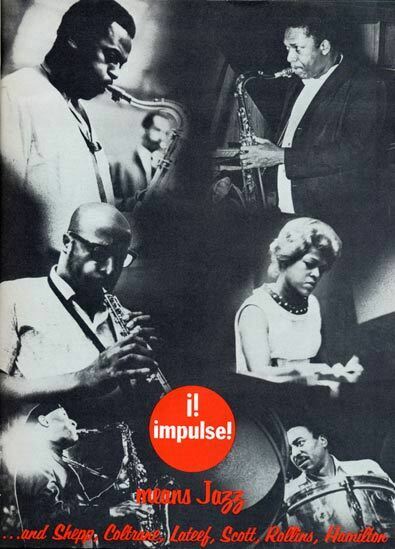 A 1966 ad includes (clockwise from top left) Impulse artists Archie Shepp, John Coltrane, Shirley Scott, Chico Hamilton, Sonny Rollins and Yusef Lateef. If you browsed through record stores in the 1960s and '70s, it was easy to spot albums from Impulse Records. The label's distinctive orange-and-black packaging stood out. So did the music. 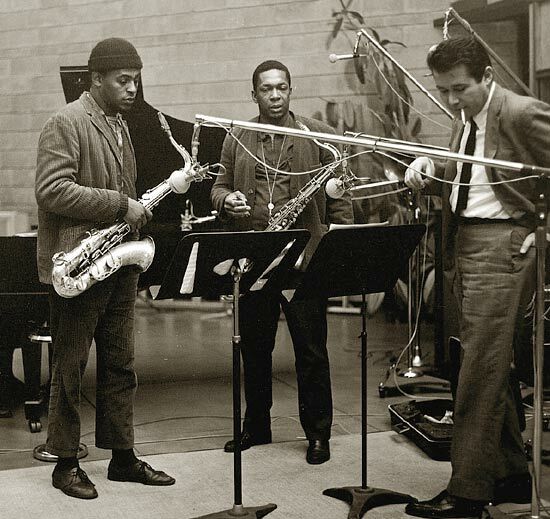 From left, artists Archie Shepp and John Coltrane with Bob Thiele, head of Impulse Records, in 1964. Although it's been mostly forgotten today, Impulse Records was one of the most influential labels in jazz. It featured the likes of Count Basie, Charles Mingus, Sonny Rollins and John Coltrane. 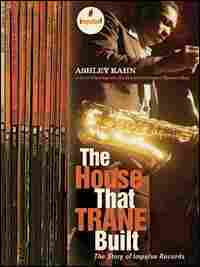 Music journalist and Morning Edition contributor Ashley Kahn has written a new book about Impulse -- The House That Trane Built. The label started as an edgy, experimental unit of entertainment giant ABC-Paramount in 1960 during a golden age for jazz. "You had more jazz legends simultaneously alive and more jazz styles simultaneously active -- from swing to bebop to hard bop to avant-garde -- all happening on the same stages at the same time," Kahn says. "And no record label tried to embrace this as much as Impulse did." Impulse reflected the turbulent society of the 1960s. "At a time when there was a lot of political outrage, musically nothing sounded louder, angrier or was more in your face than a lot of the jazz that was on Impulse Records," Kahn says. Ownership of Impulse has shifted through the corporate mergers of the 1990s, but the label's sounds are still on the cutting edge. "Hip-hop DJs and producers are going back to a lot of the music that was on Impulse, and you can see that orange and black peeking out of those DJ crates now and again," Kahn says. The music of a well-ordered age is calm and cheerful, and so is its government. The music of a restive age is excited and fierce, and its government is perverted. . . .
Orange and black. Fire and ebony. Fury and pride. From 1961 through 1976, Impulse Records wore its signature colors proudly and raised its exclamation point high, producing albums with hinged, brightly hued covers that opened wide, attracting generations of listeners into an exciting and far-ranging world of improvised music. The sound in its grooves bristled with the spirit of the sixties, swinging with the musical experimentation and political outrage of the day. To many who made it through the era, the label was an inherent part of the velocity, keeping pace with -- and at times predicting -- the sound and politics that lay ahead. "That’s where it's at right now," explained Bob Thiele, the veteran record producer who headed Impulse through most of that period, in 1966. "Jazz music has always reflected the times. Today, there are violent social transitions taking place, and these changes that are sometimes confusing come out in musical expression." But Impulse did so much more than reflect a revolutionary time. It fit perfectly into the golden age of jazz, that brief window from the late fifties to the seventies when more jazz players than ever before (or since) were alive and active, representing every era of the tradition. 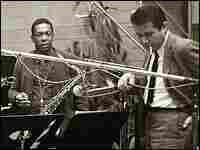 Think Armstrong to Ayler, swing to the "New Thing." No, Impulse didn't record them all. But it certainly tried harder than any other label, and managed to unify all these styles and approaches into a uniformly modern sensibility that has yet to fade. Modern enough to still be a leading go-to record label for today's top mixers and hip-hop producers. The proof can be found in the orange-and-black spines peeping out of deejay record crates, and in the Impulse samples popping up in the freshest dance-floor grooves. Invoke the label to anyone today who is music-aware, not only the jazz-savvy. The typical response mentions the music, the sixties-seventies overlap, and, just as often, fold-out covers and something about orange. "In school, I could tell how much someone knew his music by the orange I saw on the shelf," states Daniel Richard, a record executive who, among other duties, is responsible for marketing Impulse recordings in France. "There was a certain mystery about those records," says jazz journalist and critic Gary Giddins. "When I was in high school, the question with Impulse was, did you alphabetize them with all the other albums or did you keep them together so you could have the big orange stripe on your wall?" "The branding was terrific," offers Don Heckman, another veteran jazz critic. "I seem to recall that we were annoyed by the gatefolds initially because it took up more space on the shelves, but then you valued having that additional space for the liner notes and photographs and so forth." It was branding that reached far beyond the jazz sphere, helped attract a whole new generation to jazz, and burned itself into the public consciousness. The rhythms and freedoms that resounded when Impulse LPs spun on turntables in the sixties and seventies resound as strongly today. In its day, the Impulse logo promised forward-looking music in a design that was unforgettable -- and functional. "Those gatefolds were a wonderful development because they served as a deluxe rolling tray to manicure your marijuana," sixties political gadfly and jazz booster John Sinclair recalls. "The best Impulses had the most seeds stuck in the middle." From The House That Trane Built: The Story of Impulse Records Copyright © 2006 by Ashley Kahn. Coltrane's set list in late '61 was a quixotic mix: popular originals ("Naima," but not "Africa"), recently recorded tunes ("Greensleeves," but oddly not "My Favorite Things"), and new compositions that drew inspiration from foreign sources ("India," "Brasilia"), modal jazz ("Miles' Mode," "Impressions"), and traditional folk songs ("Spiritual"). Engineer Rudy Van Gelder, with mixing console set atop a commandeered table near the Village Vanguard bandstand, captured it all on tape. The eventual album, released in early 1962, distilled numerous reels of live music down to one disc with three tracks. "Spiritual" and the standard "Softly, as in a Morning Sunrise" constituted Side A, but it was Side B that first drew attention (and derision) and set ears atilt, and for which the album is now celebrated. Later generations revere "Chasin' the Trane" as the birth cry of sixties avant-garde jazz: an outpouring of stylistic tongues and melodic ideas that linked the bebop dexterity and daring of the past with a free, stripped-bare, spiritually charged future. Van Gelder recalls "Chasin'" primarily as a challenge, with Coltrane swinging his saxophone and stalking the small stage of the basement club (hence the title, which the engineer himself suggested). To Coltrane himself it was merely an impromptu blues -- no theme, no opening statement, pure solo -- that featured his horn, Jimmy Garrison's bass, and Elvin Jones's drums. It was the first time the bassist had played with the group. And significantly, no piano. "The melody not only wasn't written out but it wasn't conceived before we played it. We set the tempo and in we went," Coltrane recalled. The avant-garde firebrand Archie Shepp, a Coltrane acolyte: "I was living in a loft in [New York's] East Village in 1962. I heard my neighbor's record player booming and I knew it was Trane. But the piano never came in. As he began to develop the line it became clear that the structure wasn't so apparent and he was playing around with sounds: playing way above the normal scale of the horn, neutral and freak notes, overtones, and so on. I found it as shocking a piece of music as Stravinsky's 'Rite of Spring' was in his day." A fifteen-minute solo on tenor saxophone -- especially in the context of 1961 -- must have seemed at least indulgent. What was Coltrane up to? "It's basically a blues," Shepp explains. "But where the song's form is much less important than the melody itself, and the relation between the melody and the rhythm. Sonny Rollins had worked without piano before, but his playing was primarily harmonically oriented -- and Ornette Coleman too, who was totally aharmonic. Coltrane was able to integrate the two, to put everything in context, in such a sophisticated way that it influenced everybody. [Without the piano] it's the point where the Coltrane Quartet became an avant-garde trio." Rather than simply a zero hour for free jazz, Shepp sees the tune more as "a synthesis of what came before. You could say that it's free jazz, but it's not totally free because there are still very strong structural indications: chords, harmony. Trane said that Giant Steps  was sort of the end of one phase where he had exhausted all of the permutations of chords. 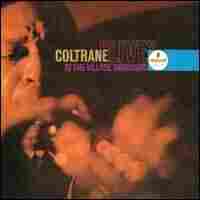 'Chasin' the Trane' was another door that opened: the use of sound for sound itself. "I think it's one of the most innovative pieces in the history of African-American improvised music, as important as Charlie Parker's 'Ko-Ko'  or Coleman Hawkins' 'Body and Soul' . That's the greatness of Trane, that he always kept the feeling of dance and the spiritual elements so important to what they used to call 'hot jazz.' That's why his peers all respected him so much, because he didn't throw the baby out with the bathwater." Critics of the day often diverged in their opinions on Coltrane. But in "Double View of Coltrane 'Live,'" twin reviews in Down Beat in April 1962, Ira Gitler and Pete Welding seemed to agree on "Chasin' the Trane." "More like waitin' for a train -- a 100-car freight train -- to pass," judged the former. "Sputtering inconclusiveness" and "a frenzied sort of soul-baring," wrote the latter. Present-day judgment has been more generous. To producer Bob Thiele, it was a "musical mega-nova": "Physicists have long debated about the existence of a 'big bang.' Without any question the jazz equivalent occurred during that seismic quarter-hour." Gary Giddins sees in "Chasin'" "one of those crucial performances in which we can hear the subversion of a sensibility and a yearning for new worlds." Indeed, if it can be said that there was one moment when Impulse took a leap of faith and yoked its fortune to that drive for the new -- sharing Coltrane's path -- it is here.